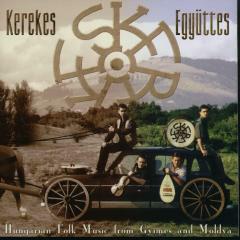 Kerekes band was founded in 1995 in Eger, Hungary. They met their masters Viktor Tímár and János Tímár from Gyimes at that time. They’ve learned from them not only new tunes but the way of playing music for dancers. 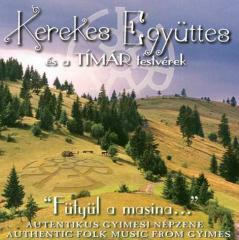 They’ve moulded their music and thought to be real musicians from Gyimes. The Tímár brothers are keeping an ancient culture of music, which they inherited from their also exceptional talented parrents. Combining whistle and gardon is considered to be a more archaic line-up than fiddle with gardon. These old tunes played on these instruments accompany the ancient dances of the Csángó-s living in Gyimes. The band was founded in 1995 in Hungary. At the start we played exclusively Csángó folkmusic and during that time we had personal contact with our masters. Viktor Tímár and János Tímár musicians from Gyimes. We play the music exactly as we've learned from them. After a while we were grabbed by the smashing power of Moldavian folkmusic and by the energy of Moldavian Dances. In 1997 Csaba Mámor joined to the group, and he brought his creative skill and original barbarity, which is an important part of Moldavian music. In 2000 two more members came to the band, namely Ákos Csarnó and Kinga Hajdú. Our music had a lot of influences and mixed them with our inspirations we established a special sounding in which we kept the essence of Moldavian Music. Zsombor Fehér puts together the clearness of the original folkmusic and the revolutionary technics of Jimmi Hendrix. Csaba Mámor brings new sound thanks to his experiences with rock music. Viktor Fehér builds into the Moldavian music the elements of jazz and blues. In harmonies there are evidences of classical music, but melodies spontaneously contain the possibility of expression. The concept of the album is the result of some years of dance hall experiences. We have a regular dance hall in Eger since 1997. In the Kecskés song we borrowed the sound of instruments and modulation from Duke Ellington: Cotton Club Stomp. The kobza accords of Gergelytánc was inspired by a musical theory lesson. In Hora Si Sirban we introduce the different styles of Balkan music. The Erdélyes és Kecskés song caused some scandals on folkmusic festives because of contra. Our first so called Gyimes song has roots from the most archaical part of Hungarian folkmusic, and it sounds exactly as we've learned from our masters, just like the Kettős. The Kerekes which is also the name of our band is a Gyimes round dance. The Katonás menet is reminds of a military recruiting.  We rowrote the Rekecsini botosánka for a blues scheme while in Gyedoj there is a sax melody from Wedding of Klézse. We've changed the character of Félöves és hoina with specially placed half notes. We made wild the Öves és kezes with full sound kaval. An additional surprise in Ruszászka a briliant finishing of a Dave Brubeck song.